Oblique Single Plane Illumination Microscopy (oSPIM) is a platform for high resolution light sheet microscopy that combines the low photo-bleaching and photo-damage of LSFM with high magnification, high NA objectives for cellular and subcellular imaging. This technique offers the benefit of changing the objective orthogonal orientation, generating a light sheet at an oblique angle using an oil-immersion objective below the sample. 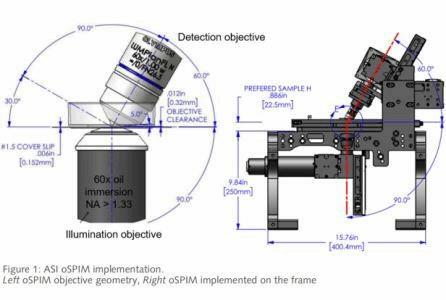 Download this white paper for more information on how oSPIM works, its many other advantages over conventional fluorescence microscopy, and what equipment is needed for this technique.